We have partnered with NightRush Casino to bring you a great Welcome offer! All of our esteemed NetentCasinos.Reviews followers and readers can get a great NightRush Casino Welcome offer when they register for a new player’s account and make their first deposit. 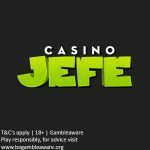 Players are welcomed with a whopping €1000 Welcome Bonus Package over their first FOUR deposits. Check out how to claim your NightRush Casino Welcome offer below. The minimum deposit is €20 or more to receive these bonuses. *This offer is only available for new players residing in the following countries: Norway, Finland, Germany, Austria, Canada and Malta. Please note that the welcome offer is not available if you make deposits using Neteller, Ecopayz, or Skrill. Neteller, Skrill, Visa, Mastercard, Paysafecard, Zimpler, iDebit, Sofortuberweisung, and Trustly. The wagering requirement is 45x. Players residing in these countries may not accept bonus offers at NightRush: Bulgaria, Poland, Hungary, Romania, Greece, Croatia, India, Pakistan, Ukraine, Indonesia, Russia, Slovakia, Portugal, and Thailand. 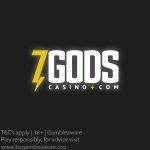 Unfortunately, players from the UK and USA are restricted from registering at the casino. The following games do not contribute to wagering requirements when bonus money is in use: Blood Suckers, Bonanza, Cosmic Fortune, Piggy Riches, Robin Hood: Shifting Riches, Secret of the Stones, Secrets of Atlantis, Secrets of Christmas, Creature From The Black Lagoon, Dead or Alive, Eggomatic, Joker Gems, Jokerizer, Mythic Maiden, Starmania, Steam Tower, Supernova, The Invisible Man, The Wish Master, Twin Spin, Victorious, Wild Heist at Peacock Manor, Wild Rockets, Wild Turkey, progressive jackpots, Fruit Shop, Guns N’ Roses Video Slots, High Society, Hotline, Immortal Romance, Jackpot6000, and Jimi Hendrix Online Slot TM. 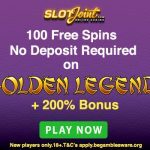 Posted in NightRush Casino and tagged march 2018 free spins, march 2018 promotions, No Deposit Free Spins. ← Guts Casino Canada | Get an Exclusive 15 No Deposit Free Spins for all new Canadian players!